I know what you’re probably thinking, “Vicious? REALLY?”, but hear me out. Who in their right mind would still be using a sword in the year 2071!? It’s one thing to carry one around ironically, but Vicious actually knew how to use it against gun wielding syndicate rivals. For that he gets a spot on the list. Now I’ve never been much a fan of Sasuke’s personality, but I’ve gotta give it to him when it comes to swordsmanship. Aside from simply using it to cut enemies down, the guy can also channel electricity through his blade. How awesome is that? I never got around to watching the second season of Attack on Titan, but I vividly remember Mikasa being one of my favorite characters! From the time she was young stabbing home invaders with a knife to when she becomes a full fledged Survey Corps member, Mikasa has always been a beast with a blade. Well if it isn’t the “Master of the Evil Eye” himself! 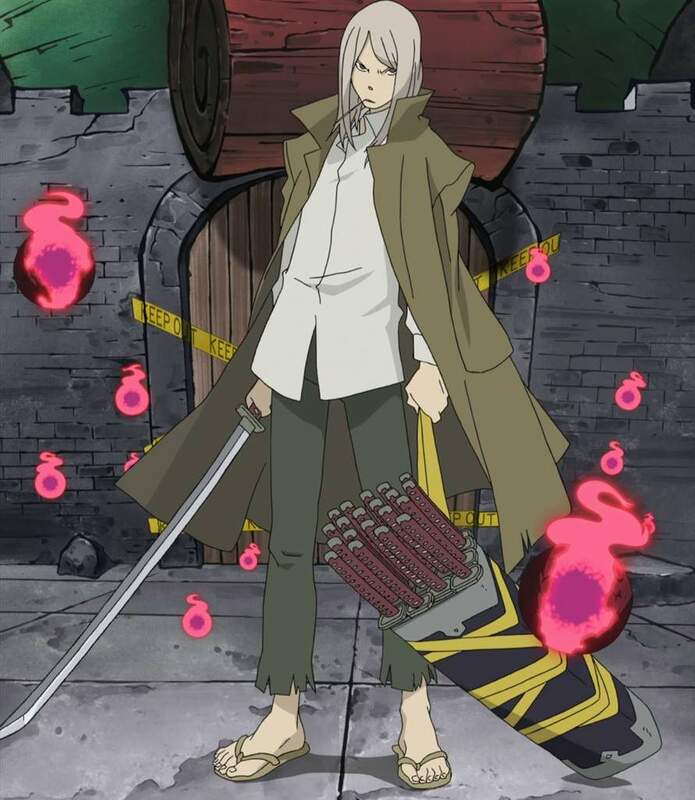 Even after breaking his original sword, he further developed his skills with the, “Sword of the Darkness Flame”. To be honest, if he hadn’t started to rely more of the, “Dragon of the Darkness Flame”, more he would probably have ended up further along the list. I mean who doesn’t love Hiei!? Come on who all expected Zoro to be at #1? It’s fine, be honest. Truth be told I haven’t watched One Piece in years, but wanted Zoro on the list because I still remember those sweet moves with three swords! Totally impractical, and I even lost a tooth as a kid trying to do the same weight training, but still a very cool character! Otherwise known as “The Sword God”, Mifune is a total badass with the sword. His quickness with the many blades he has around him provide an excellent attack and defense. I know I certainly wouldn’t want to be on the receiving end of his infinite sword attack! Looks like we have our last entry from The Big Three in here, and it’s none other than Kenpachi! I know there are plenty of amazing swordwielders to choose from in Bleach, but Kenpachi has been one of my favorites since the beginning! His raw strength and the fact that he goes so long without knowing his Zanpakuto’s name made him truly terrifying with his tattered blade. While I did a little researching into this I couldn’t believe I hadn’t thought of King Bradley sooner. This mischievous human-homunculous hybrid had the ability to slice bullets and even cannon shells with his blade! And if you thought Zoro’s three swords were impressive, wrap you brain around this — King Bradley used five! He may not be the strongest swordsman in anime. 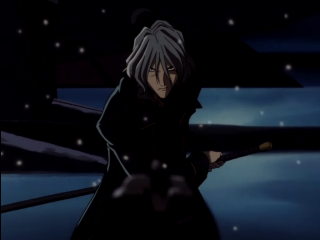 He may not even be the coolest swordsman in anime. But if he’s not the first swordsman you think of in anime (besides Zoro come on people) then I don’t know what’s wrong with you! Maybe it’s just from growing up on this show, but the Battōsai was not one to be messed with. He could flip the switch when his loved ones were in danger, and suddenly that reverse blade sword become the very definition of death. So what do you think of the list? Did I miss your favorite swordwielder?